Billionaire investor George Soros, through his family-controlled Soros Fund Management group, owns nearly five percent of Caesars Entertainment following the company’s Chapter 11 bankruptcy reorganization last fall. According to Bloomberg, the billionaire’s stake makes him one of Caesars’ Top 10 shareholders, with the holdings valued at $436 million. 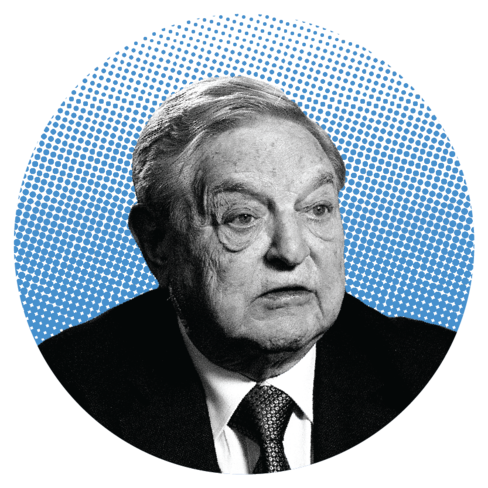 Soros also owns seven percent in VICI Properties, the gaming operator’s real estate investment trust (REIT). The 87-year-old’s private firm has been invested in Caesars stock (and debt) for many years, but emerged with a larger percentage stake in the wake of the bankruptcy reshuffling. Dubbed the “largest and most complex bankruptcy in a generation” by the company’s own lawyers, Caesars washed billions of dollars of debt from its books by splitting its profitable assets from its liable ones. Creditors such as Soros were awarded ownership in VICI in exchange for terminating legal claims that Caesars was asset-stripping. VICI owns 20 Caesars casinos, and leases their gaming and resort operations back to Caesars Entertainment. MGM Growth Properties, MGM Resorts’ REIT, unsuccessfully tried to acquire VICI last month. During a subsequent initial public offering on the New York Stock Exchange, VICI raised more than $1.2 billion by selling 60.5 million shares. Despite ridding some $18 billion in debt from its books, according to financial experts, Caesars Entertainment stock remained a rather risky investment. CNBC stock guru Jim Cramer said following the bankruptcy exit that the casino operator’s balance sheet simply doesn’t warrant a “buy” recommendation. Investors have seemed to agree, as the stock has remained relatively stagnant, aside from a few spikes and falls. Caesars was trading at around $12.65 after formally ending its bankruptcy, but closed Wednesday’s trading session just slightly higher, at $12.80. However, employee-owned hedge fund Moore Capital felt that this week was the time to jump in, as the hedge fund purchased 1.88 million Caesars shares on Wednesday. Moore is apparently bullish on the gaming industry, as the investment firm also bought 100,000 shares of Boyd Gaming, and 50,000 shares in Wynn Resorts. The odds of Caesars being awarded an integrated casino resort license in Japan are thought to be long, due to the company’s recent bankruptcy and limited international experience. But should it receive one of the coveted permits, Soros, Moore, and other investors will presumably see their holding values increase. Gaming experts believe the integrated Japan casino resorts could generate between $10 billion and $25 billion a year in revenue. Caesars recently hired former US Senator Tom Daschle to head its Japan licensing effort. George Soros is one of America’s most influential billionaires when it comes to US politics and using his wealth to push agendas. The Democrat’s political activism took off in 2004 when he gave over $23.5 million to his party to defeat President George W. Bush’s reelection. Since then, he’s donated tens of millions of dollars to Democratic candidates, including $22 million during the 2016 election. That, however, pales in comparison to the campaign money billionaire Sheldon Adelson gave in 2016. According to OpenSecrets.org, the Las Vegas Sands CEO donated $82.58 million, with all but $40,000 going to Republicans. Other notable billionaires with casino interests who remain politically active include Carl Icahn, Phil Ruffin, and now-disgraced tycoon Steve Wynn. All three have predominantly supported conservative candidates.